Country of sweets! What a sweet name for a place where you want to go to anyone who loves candy! 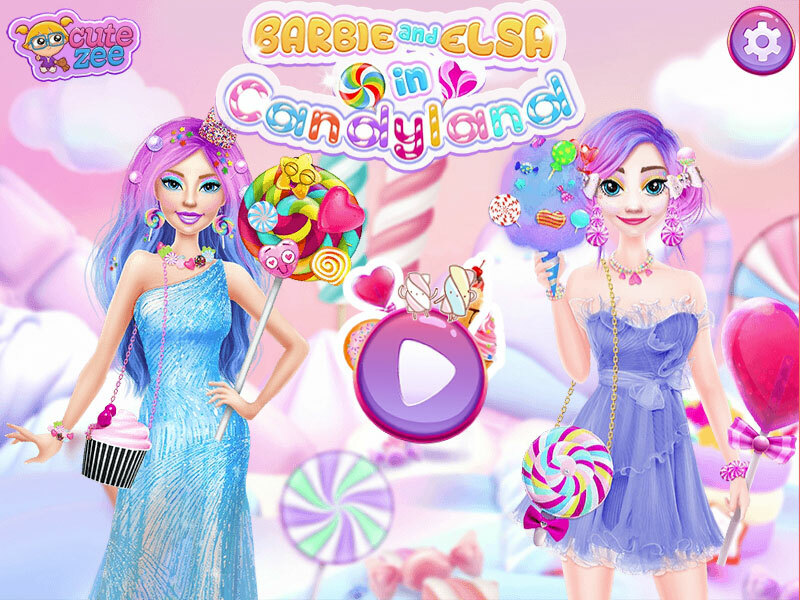 In this game, the dress up game "Barbie and Elsa in Candyland", you can help the famous girls to visit Candyland, where everything is made of sweets. They really want and dream that it comes true as soon as possible. But there is one condition to get there. You should be like the inhabitants of this country. Let's extend a helping hand to our favorite characters of the game and help make a cool candy makeup, choose a bright hairstyle. Add decorations in the style of candy. And of course, choose bright dresses in candy style. As a result, the girls should look like they will definitely be let in to this country and present them with many tasty and sweet candies. Played: 2484. Added: 14-11-2018, 11:19. Barbie and Elsa in Candyland dress up game.